The incompetence here is truly staggering. On Sept. 10, Obama’s Press Secretary Josh Earnest said that the U.S. would accept 10,000 Syrian refugees for the fiscal year that began on Oct. 1. 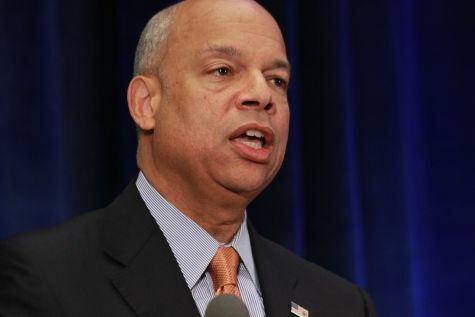 But this Tuesday, according to CNS News, Homeland Security Secretary Jeh Johnson said something absolutely horrifying about the vetting process for this refugee program. It does not help that, according to our own reporting, the government plans to speed up the immigration process for these 10,000 refugees. The usual two-year vetting period will be reduced to a matter of months and maybe even weeks. Furthermore, Obama plans to increase this 10,000 number to 30,000 for fiscal year 2017, and the vast majority of these refugees will be Muslims. Apparently, Obama cares little about the Christians being persecuted in Syria. The New York Times reported that refugees seeking to resettle in the United States must apply through the United Nations. According to the U.N., the U.S. is one of only a few countries around the world that use its refugee program. These refugees represent just 12.5 percent of the total 80,000 refugees who are expected to waltz into the United States this year — not many of whom the feds will “know a whole lot” about.